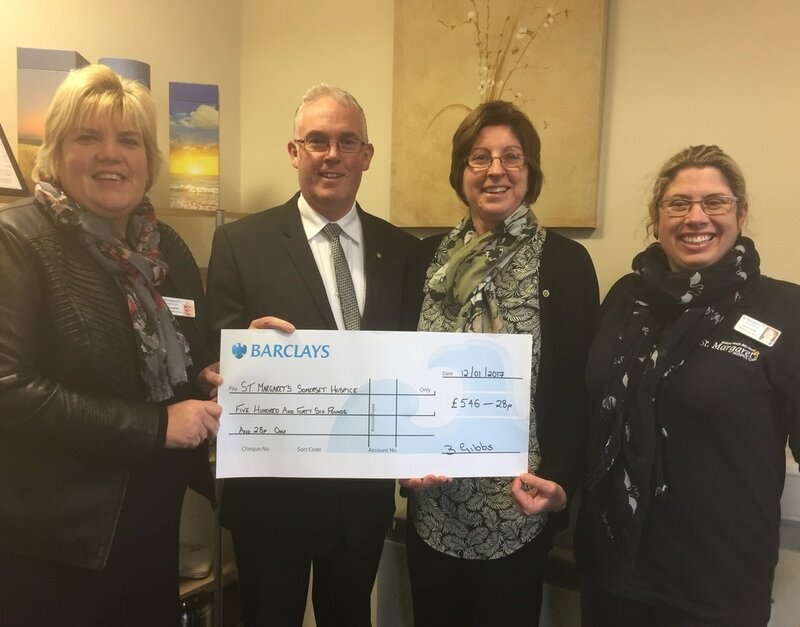 This year our memory tree raised a total of £508.52 which has been donated to the Somerset branch of Mind. This year donations for our memory tree stars are for Mind. 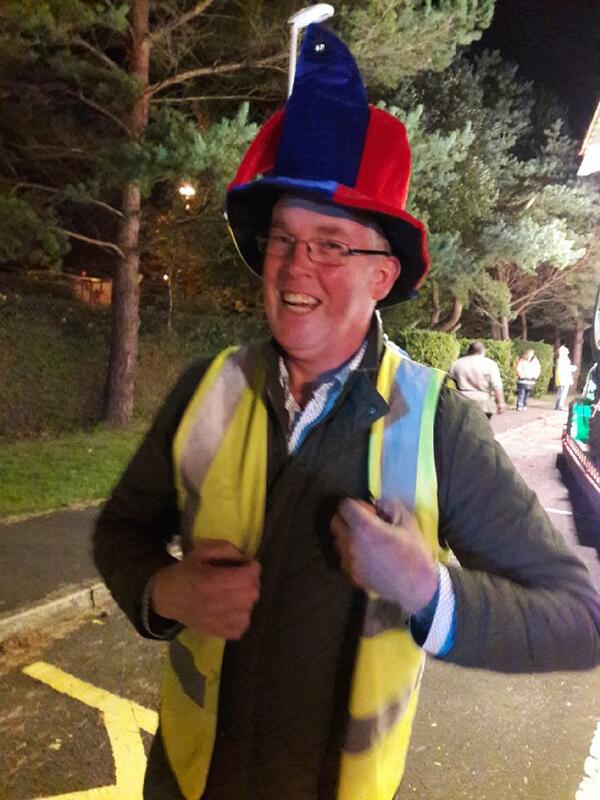 Barry enjoying promoting and collecting on behalf of Chard Rotary Club at this years Carnival. 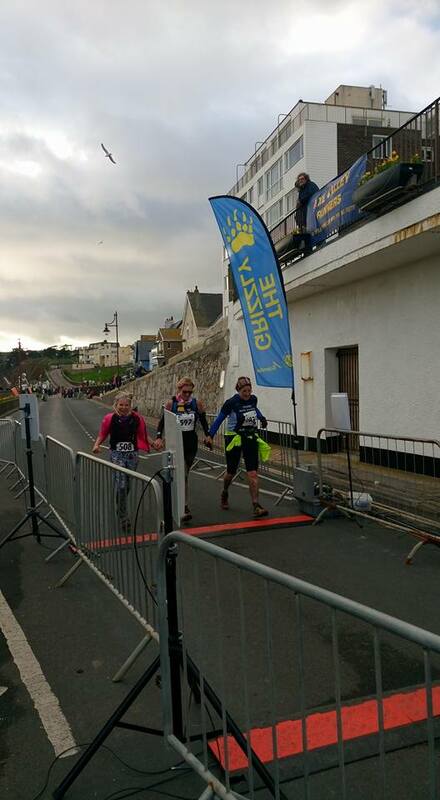 38 miles from Yeovil to Taunton Hospice. 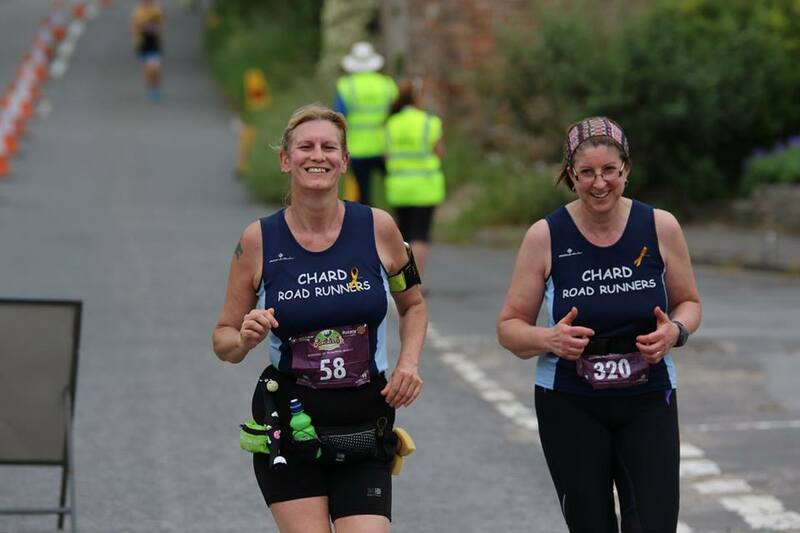 A very enjoyable day despite the numerous hills. Everyone was so helpful and welcoming. Thank you to our cycling buddies Teresa Coombes and Martin Lloyd. 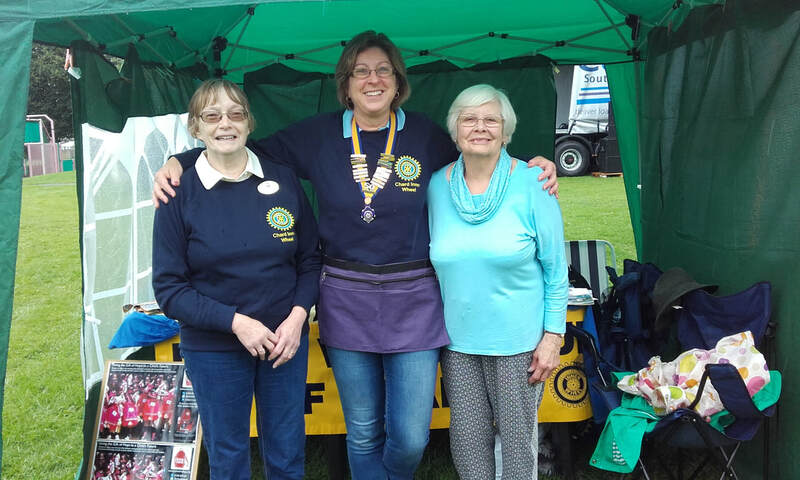 Claire, Anne Taylor and Mary Gale represented the Inner Wheel Club of Chard at the Party in the Park, they were promoting their club as well as selling jewellery and accessories made out of recycled magazines and can ring pulls for the charity Purple Community Fund. Although wet and windy a great time was had. 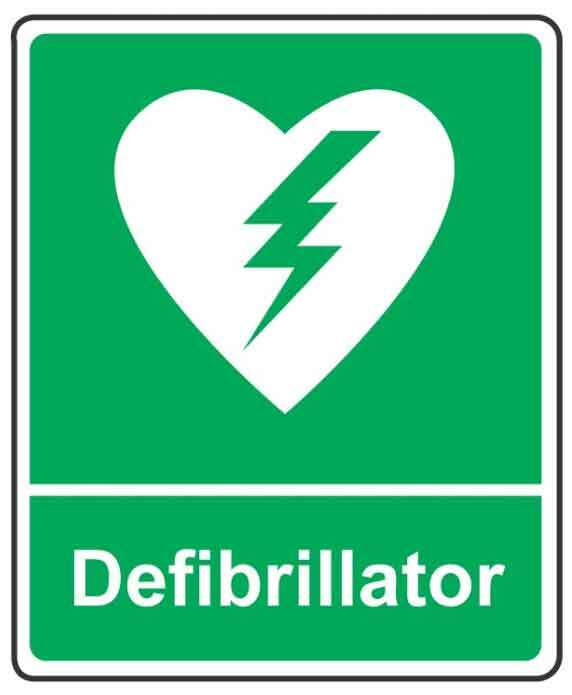 Barry has joined the voluntary group which is trying to get a number of defibrillator's installed around Chard to enable the community access to life saving equipment in an emergency. Both Barry and Claire hope to cycle the 38 miles from Yeovil Hospice to Taunton Hospice on Sunday 6th August. 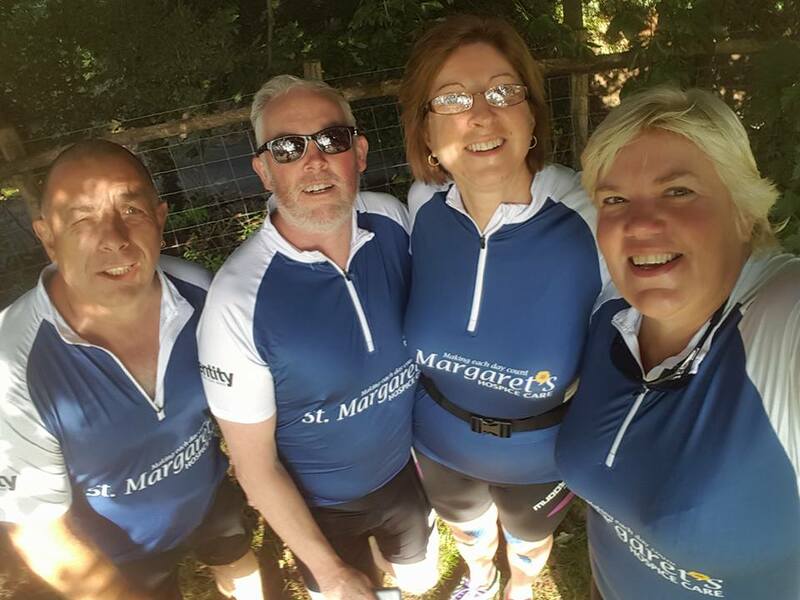 They have been out on 1 practice cycle so far and hope to raise funds for the great cause that is St. Margaret's Hospice. 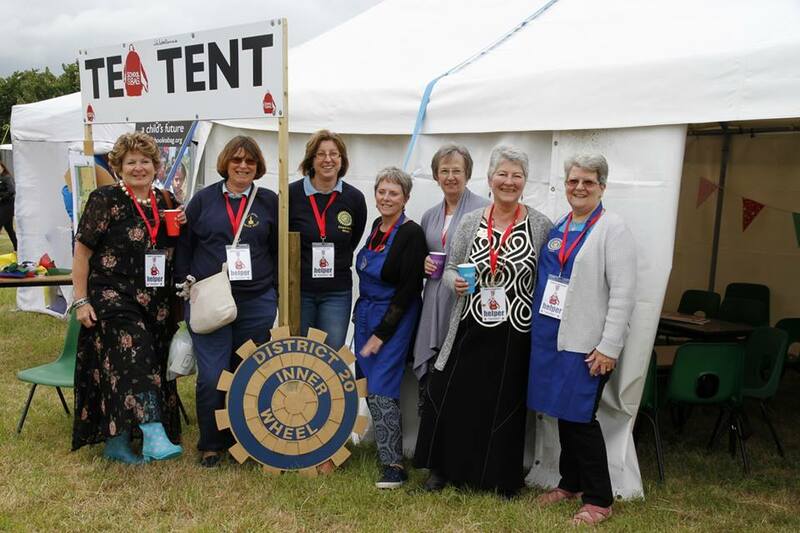 Inner Wheel District 20 have volunteered at the School in a Bag tea tent for 2 years now. 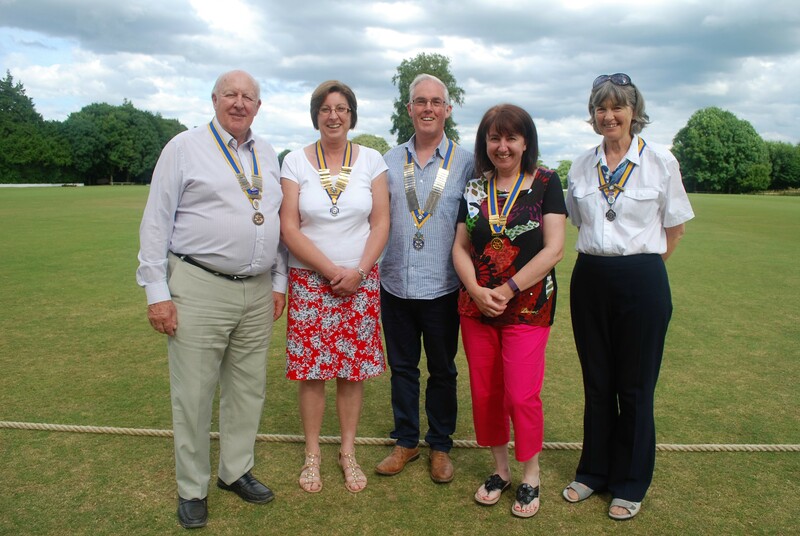 Pictured is Claire with other local Inner Wheel members during their shift this year. Quad Kids in a annual sporting event for local Primary Schools held by Rotary at Holyrood Academy. Both Barry and Claire enjoy helping out with the howler throwing. 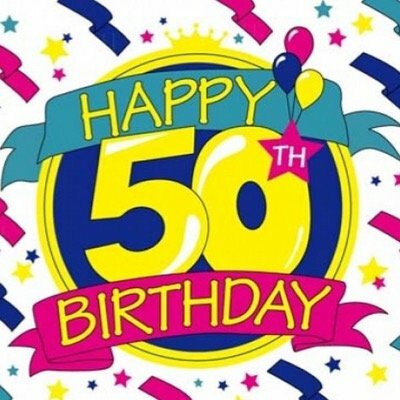 Claire turned 50 this year and decided to celebrate with her friends and family with a charity party. 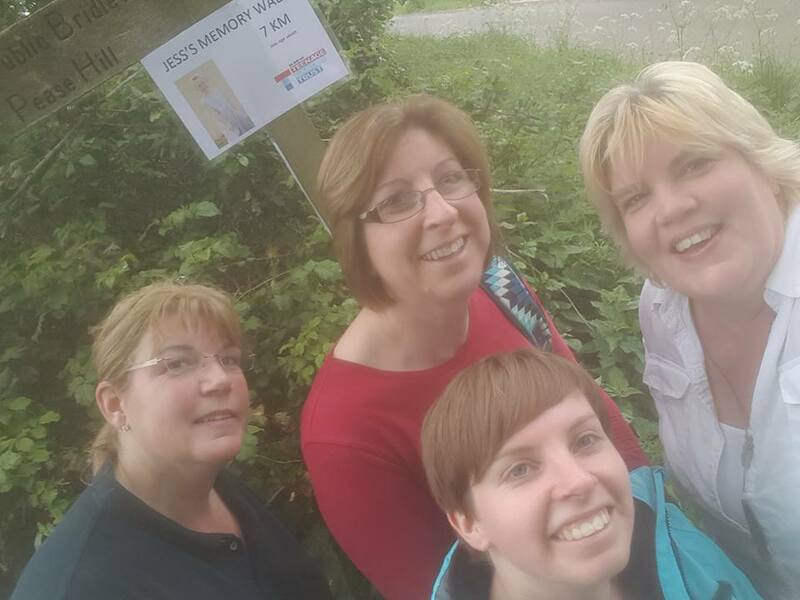 Her chosen charities are Fiveways School, Yeovil and Diabetes charities. In total the night raised over £500. 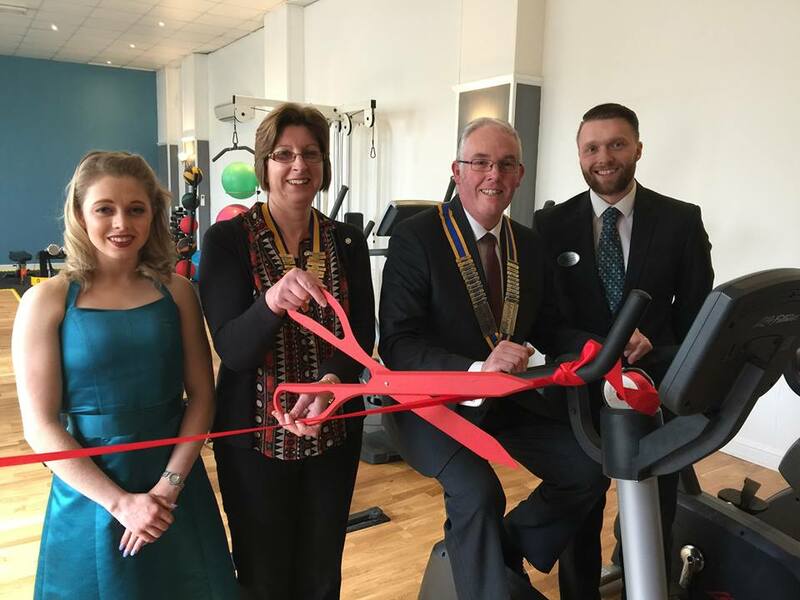 Barry and Claire were invited as Presidents of Chard Rotary Club and The Inner Wheel Club of Chard respectively, to cut the ceremonial ribbon at the relaunch of Cricket St Thomas' newly refurbished Leisure Club. The people of Chard, Ilminster and the surrounding area were invited to place a star in memory of a loved one upon the tree. 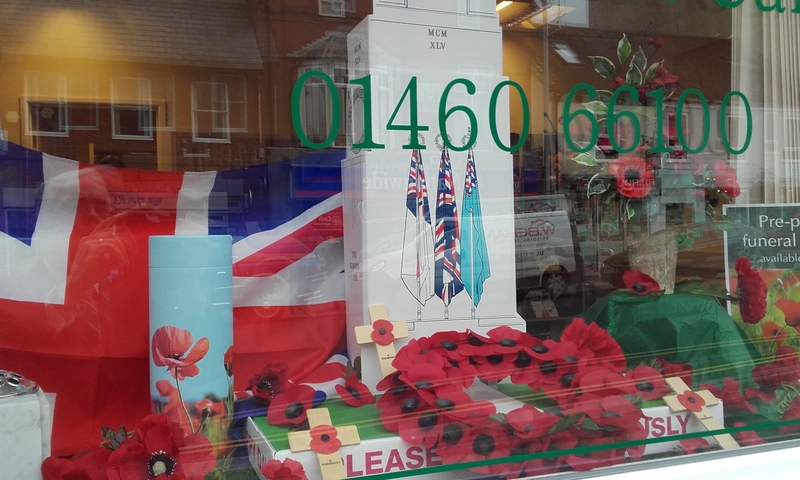 Those wishing to could also make a donation to St. Margaret’s Somerset Hospice. 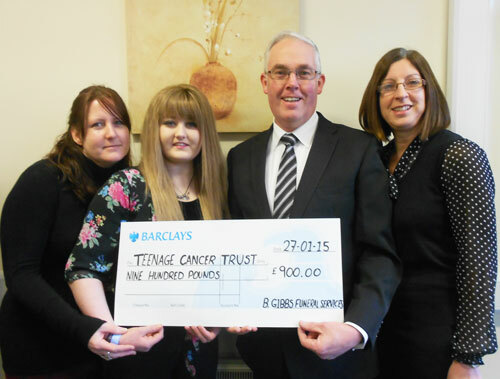 The sum raised was £346.28 with B. Gibbs Funeral Services also pledging £200.00 to make a Grand total of £546.28. Barry and all at B. Gibbs Funeral services would like to take this opportunity to thank all those people who placed a star on the tree and to all those who made such generous donations. 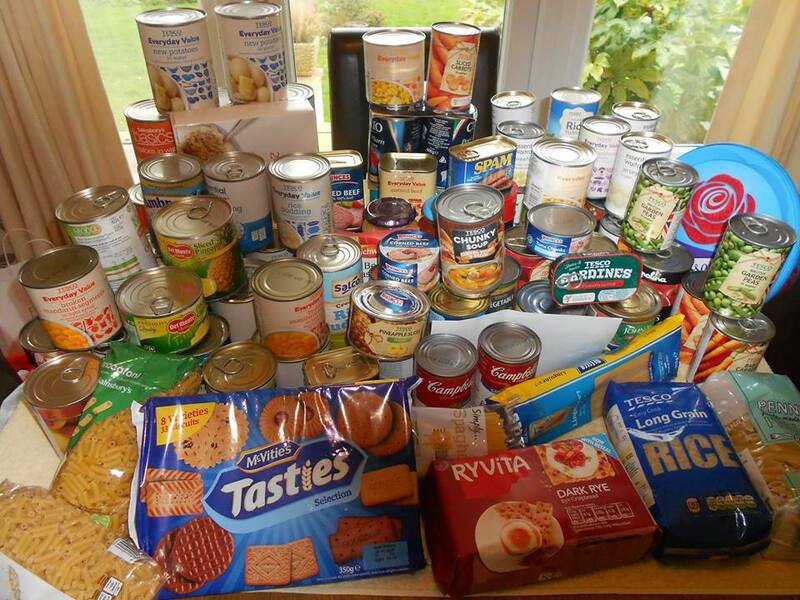 As part of International Inner Wheel Day Claire and the Chard Inner Wheel ladies collected an array of food items to donate to the Lord's Larder. 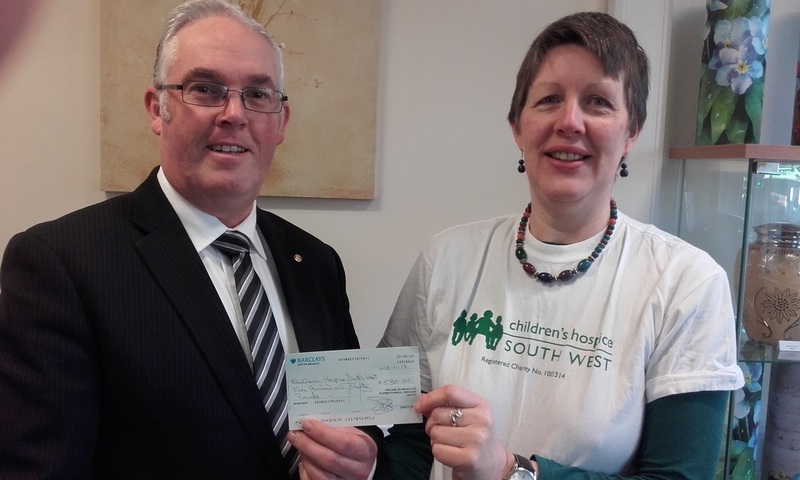 Barry seen here handing over a cheque, to Caroline Dowell local fundraiser for The Children's Hospice South West. 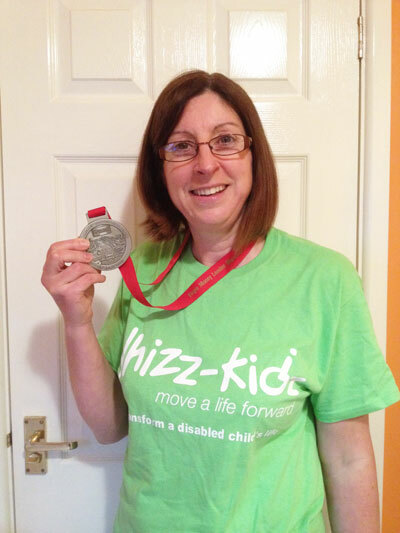 After intense training Claire completed the London Marathon in 4 hours 50 mins and raised over £2,500 for the childrens disability charity Whizz-Kidz. We would like to thank everyone who helped with her training and donated money to the worthwhile cause. 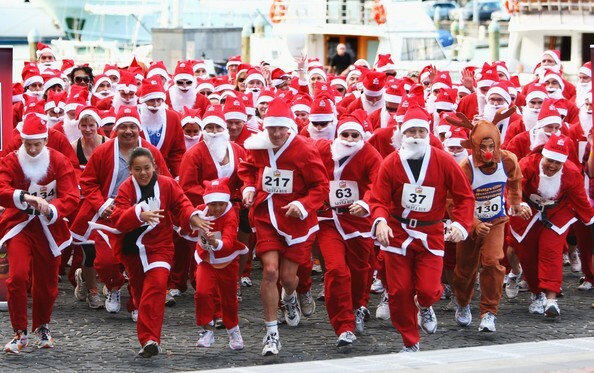 Barry completed the Mayor’s Christmas Santa run whilst Claire and their daughter Hannah helped marshal to ensure the race was safe as well as fun. 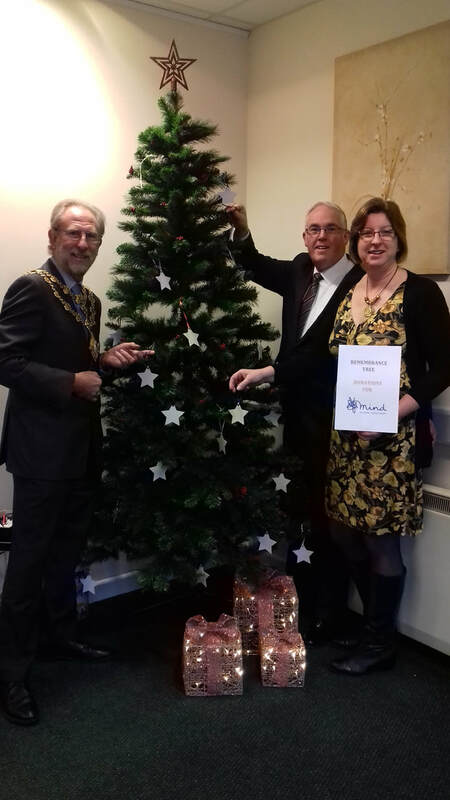 During December we offered the public a chance to put a star on our tree in memory of a loved one and make a donation to the chosen charity if so wished. The final total after we matched the donations came to £900 which all went to The Teenage Cancer Trust, a charity very close to us as a family.